The difference between a "bullion coin" and a "bullion round" is in consideration as to who manufactured the item. Bullion coins produced by a government are legal tender backed by the government who minted the coin. Legal Tender - is a medium of payment recognized by a legal system to be valid for meeting a financial obligation. 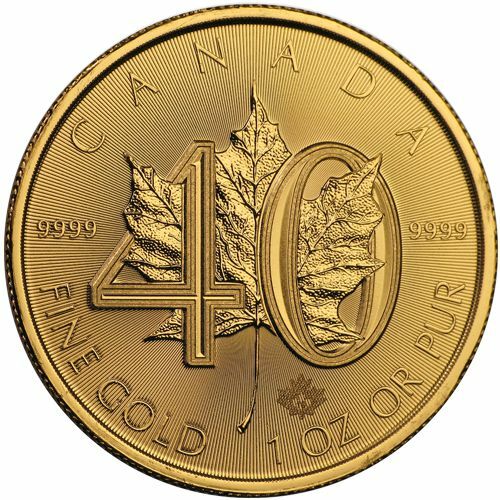 Legal Tender gives the bullion coin a "Face Value," for instance, the 1oz. 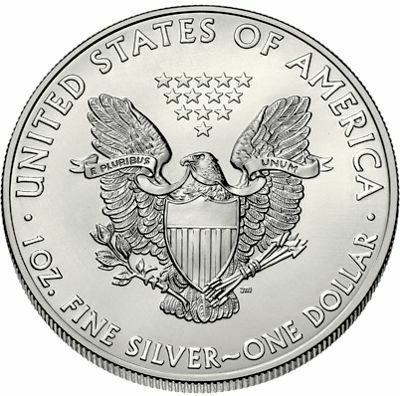 American Eagle Silver Bullion Coin has a face value of "ONE DOLLAR." 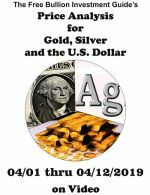 For instance, Pan America Silver is a silver mining company; they had a contract with the Northwest Territorial Mint to exclusively produce rounds and bars with silver mined from Pan America. You can see 'Northwest Territorial Mint' inscribed along the bottom of the round (to the left). Bullion Rounds are not legal tender and they are not backed by any government. However, the Mexican Libertad does not have a "Face Value" and is often called a "Round." The New Zealand silver 'Fern' rounds and gold 'Kiwi' rounds are another example of government bullion that does not have a Face Value. Premium is a term used by coin dealers as a reference to the markup on a coin or round, above its intrinsic value. Bullion Coins often have higher premiums than bullion rounds because bullion coins are minted by a government giving investors confidence that the correct weight and purity is inscribed on it. 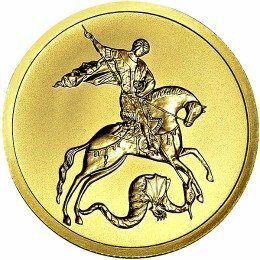 Furthermore, bullion coins have higher premiums because they are designed by master engravers and award-winning artists, known for their brilliant coin designs. 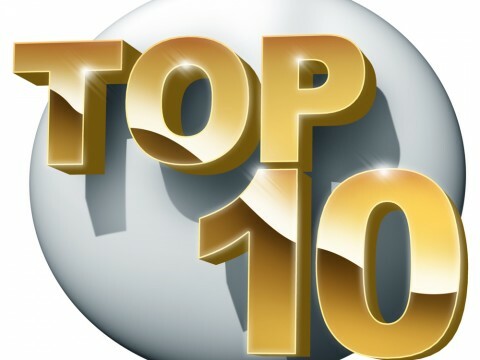 However, for the last several years, bullion rounds have grown in popularity for their designs, recently some private mints have produced rounds from shipwrecks and other found treasures, making the rounds worth more than others. In addition, any bullion round that is sought by collectors will have higher premiums. The reasons why these rounds are in demand may be because of several reasons; who designed it, what the design is, or the round may have a limited mintage. 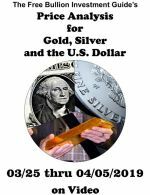 If you want to know the market's premiums on a bullion round that you are interested in, you may want to look it up on the secondary market (ex: eBay.com) to find out the round's true value. Popular series of rounds include the Silver Shield Collection and the SD War Collection. 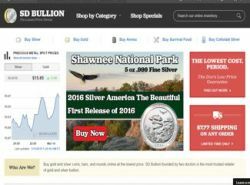 SDBullion.com a.k.a. 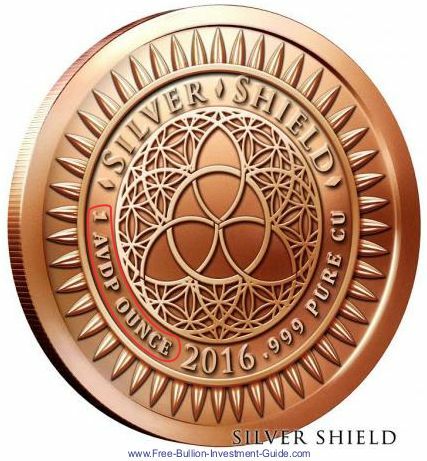 Silver Doctors offers these rounds on their website. 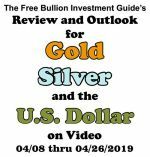 Other bullion rounds that carry higher premiums, than most, are the old Engelhard or Johnson Matthey bullion rounds produced in the late 70's and 1980's. 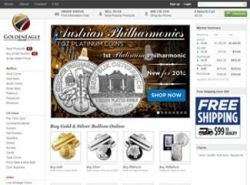 In addition, Bullion Coins with annual mintages under one million also carry higher premiums; this is discussed on the World Bullion dealers page. BE AWARE of WHAT YOUR BUYING! 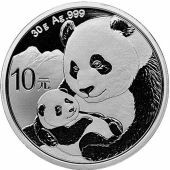 To make rounds appealing to the public, private mints are producing bullion rounds that look like government issued bullion coins. This has been observed with rounds that resemble the 1oz. American Eagle Silver bullion coin. 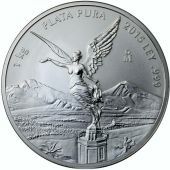 The photo below is a silver bullion round that looks like a real 1oz. American Eagle Silver bullion coin. In the photo, you can see some of the UNIVERSAL characteristics of all bullion rounds. 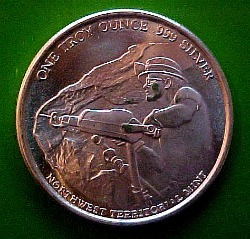 You can see on the reverse side of the round, on the right, the words "ONE TROY OZ." "TROY" is always spelled out on a bullion round and it is usually spelled in all CAPS. Here are some variations of how you will see "TROY" spelled out on a bullion round: "ONE TROY OZ., TROY OUNCE, OUNCE TROY. Another easy way to identify the difference between a Bullion round from a bullion coin is that rounds Have NO "Face Value." 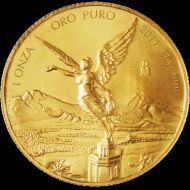 In addition, many (but not all) bullion rounds do not have a "Year of Issue" inscribed on them. 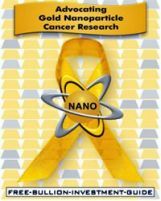 The photo below is an example of an official 1oz. 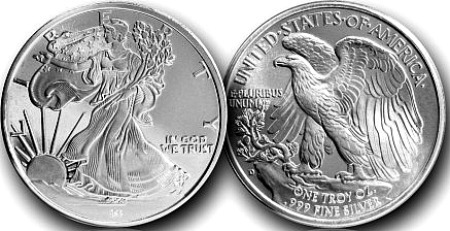 American Eagle Silver Bullion Coin, by contrasting the two photos you can see the differences between the round and coin. 1oz. American Eagle Silver Bullion "Coin"
When the price of copper moves above $2.50, copper rounds become more prevalent on coin dealer's websites. The key phrase in the sentence directly above is the "price of copper." Many individuals are unaware that copper is priced in pounds (.lbs), not troy ounces. This means that the Copper chart, to the right, is the price of copper, per pound. Most Bullion rounds & bars are only worth the amount of the precious metal contained inside them a.k.a. 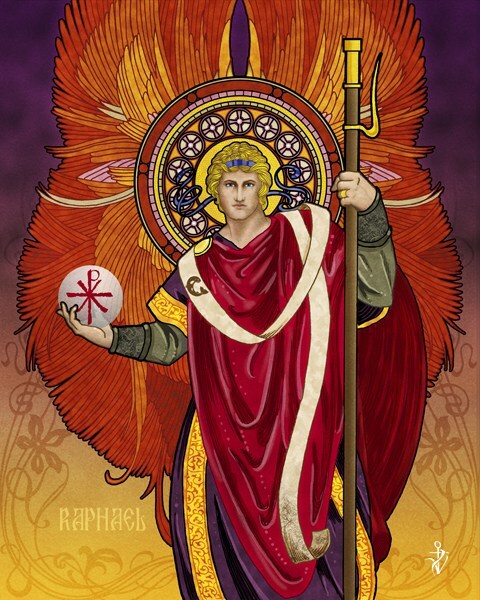 "Intrinsic Value." The equation below explains what a 1oz. copper round would be worth if copper was trading for $3.00. 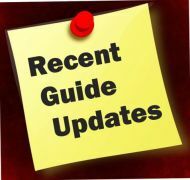 You can visit this guide's "Troy vs. OZ." page to learn more about the differences between the two systems of weight. The weight of the copper round, to the right, is outlined in red. Technically, bullion is seen as an investment, and the coins are made as such an item; meaning they are not seen as a collector's item. Bullion coins do not come in special packaging or decorated boxes, nor do they have a certificate of authenticity, like their numismatic or collector's version counterparts. For instance, if you were buying 20 - 1oz. 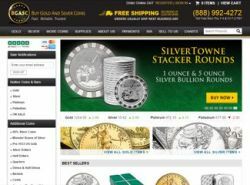 American Eagle Silver Bullion Coins they would be delivered to you in a tube of 20. However, if you were buying 20 - 1oz. 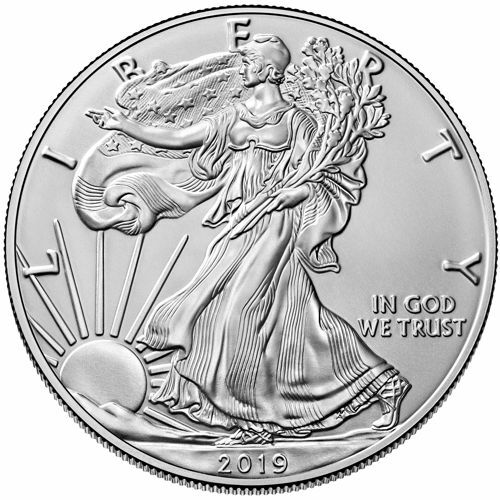 American Eagle Silver Proof Coins, they would be delivered in 20 separate boxes, each coin would come in protective packaging, and each coin would have a certificate of authenticity. 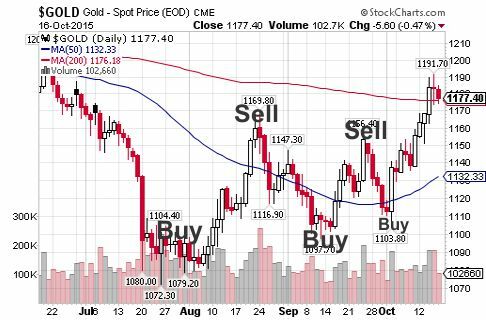 In regards to price, for either bullion or numismatic coins, you will want to buy the coins when the spot price of the precious metal the coin is made of has dipped or is consolidating and sell them when you think the price is peaking or has over appreciated. Below you will find two groups of reputable Coin Dealers. 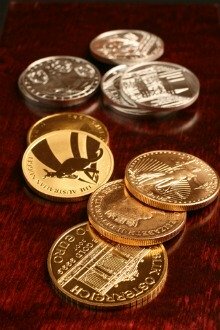 GoldenEagle Coins is a Family Owned Precious Metals Dealer based in Laurel, Maryland, that has been in business since 1974. 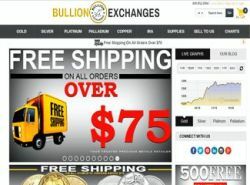 They offer one of the largest online selections of precious metals bullion. 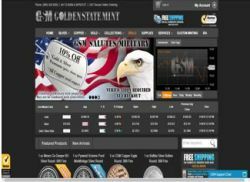 SD Bullion is a Precious Metals Dealer located in Michigan, they offer wide selection of bullion bars, rounds and coins. 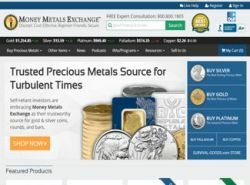 Money Metals Exchange is a Precious Metals Dealer based in Idaho, US. 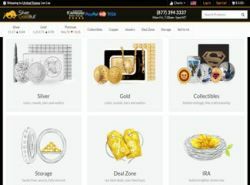 They offer bullion in gold, silver, platinum and palladium. 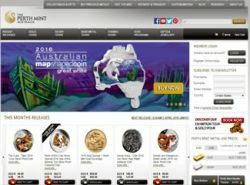 The Perth Mint is known throughout the world for its high standards in refining and minting investment bullion coins of the highest quality. The Perth Mint is the oldest operating Mint in Australia, it opened on June 20th, 1899. GoldenState Mint has been in the precious metals business for 40 years. Jim Pavlakos started in 1974, and his son Andrew has joined forces at the mint to continue the growth and future of the Golden State Mint. They have facilities in Southern California and Central Florida, using state-of-the-art processes they're continually adding and upgrading equipment to provide the best quality. 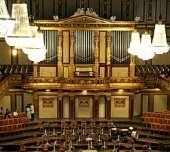 They specialize in the minting of silver, gold copper and have the ability to produce numerous sizes and endless designs.